The Parish Pastoral Council is solely a consultative body with the role of advising and assisting the Pastor in areas of pastoral concerns. The Parish Pastoral Council develops and recommends parish pastoral plans and directions through a consensus process and prayerful reflection. The Pastoral Council fosters participation in the Mission of Christ by advising and assisting the pastor in pastoral matters. Pastoral matters include a number of things related to our very nature and purpose as a parish. Among these is our need to look at ourselves as a worshipping community, including the quality of our liturgies and the overall prayer life of the parish. We need to examine what we must do to strengthen ourselves as a community of faith. In light of contemporary challenges to our faith, what things must we do so that our lives reflect what we believe? We need to keep alive our faith and also to pass it on through our families, schools and religious education programs for all age groups and for all the parts of our parish community. We need to examine how we are living and sharing the Good News of Our Lord Jesus Christ. Are we reaching out to those who have never heard the Good News, to those who have heard it but have turned away from it? Finally, we must examine our understanding of the Good News itself. The Good News is basically a message of love, but it is acted out not in words only but also in deeds of justice and service. What can we do as a parish family in aid those who are unemployed and homeless, who are hungry and hurting, aging, shut-in, addicted and lonely, those who are disadvantaged or disabled here in our own parish and neighborhood? What are we doing to promote peace and justice and to eliminate racism in our world community? These are kinds of pastoral issues, which are the proper realm for Pastoral Council discussions and deliberations. The Pastoral Council does not deal with the administrative, day-to-day operation of the parish which is the responsibility of the past or and staff. Nor is it a grievance forum for parish groups, the parish school or parish personnel. 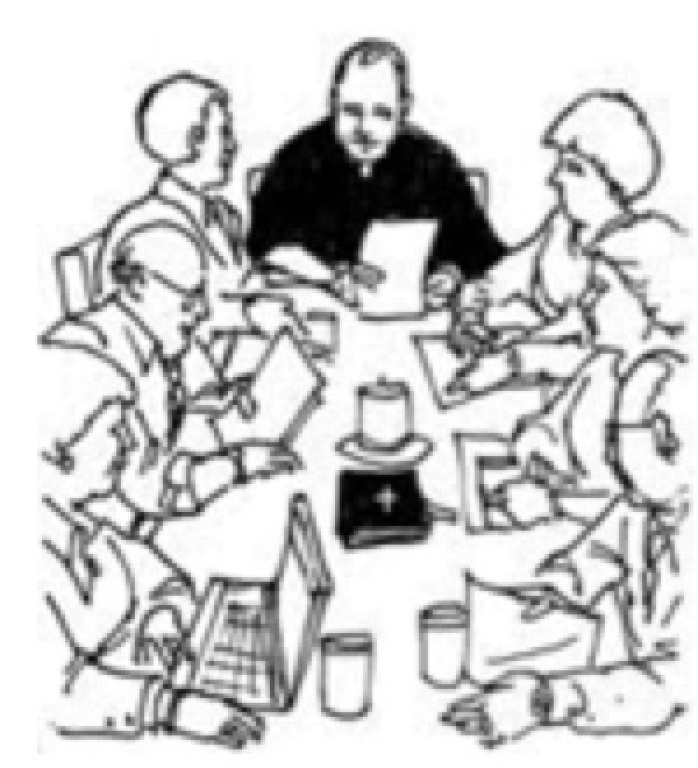 The Pastoral Council does not coordinate the various committees and organizations already flourishing in the parish. This might be called the “implementation” side of parish life. The Council’s focus, however, will be on the “developmental” aspect of parish life. It will focus on setting overall direction and on selecting from among alternative strategies those, which best promote parish vitality. The Pastoral Council makes recommendations to the Pastor through a consensus process in an atmosphere of prayerful reflection. Consensus is the process of arriving at a decision, after a time of prayer and study. It is characterized by general agreement rather than by voting. It results in a recommendation that all the members of the Council can accept and support. The recommendations that the Council makes must be based on what is good for the whole parish. Council members need to listen to the members of the parish: those who are active and those who are not so active. It will study the needs of the broader community of which we are a part and determine how best to respond to those concerns as well. The Pastoral Council is a leadership group rooted in prayer, open to the guidance of the Holy Spirit, committed to patient listening and study, and working to recommend the plans and directions that will enable the parish to respond most fully to what Jesus asks of us in these times. It is a consultative body, which unites laity and clergy in a community of prayer, leadership, service and pastoral planning. All work together as they try to listen to the Holy Spirit in discerning what is best for the parish in light of the Gospel, the Church’s teaching, and the experiences and needs of parishioners and the surrounding community. The Council can fulfill its role by encouraging a climate in which people can feel free to speak the truth with openness and love.